Doubtless Bay has a warm sub- tropical climate, over 70 kilometres of unspoiled coastline and an abundance of safe and uncrowded beaches. These range from Pohutukawa-fringed, tranquil white sands to rugged rocky coves. This is not only a holiday paradise but a wonderful place to live and work. 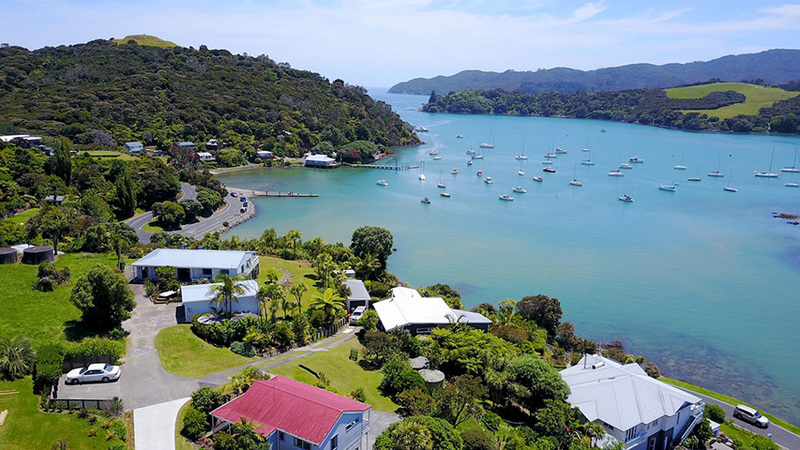 Mangonui – Doubtless Bay, Northland NZMangonui is the historical centre of Doubtless Bay, where there is a multitude of water-based leisure activities to enjoy including water-skiing, fishing, jet-skiing, snorkelling and diving. 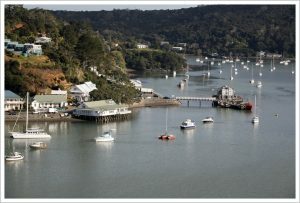 The village is filled with boutique shops and cafés on the water’s edge, and its fish and chip shop is renowned as one of the best takeaways throughout Northland, if not New Zealand! From the Mangonui wharf you can see commercial fishing boats off-loading their catch and you can even try your hand at hooking fish from the docks. 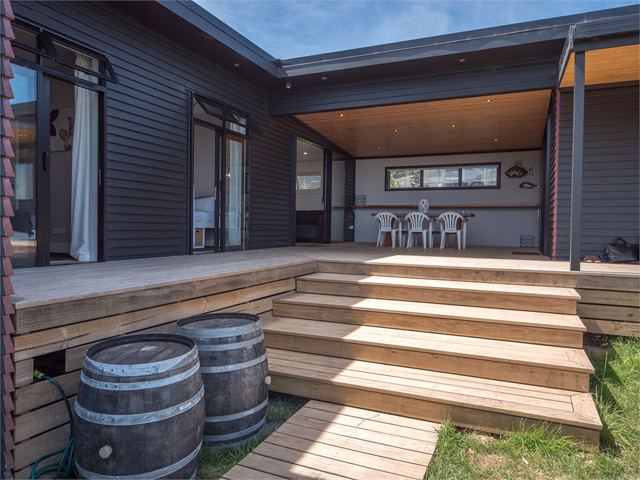 And just around the corner from Mangonui village is Mill Bay, an artist’s dream with its backdrop of the dominant Rangikapiti Pa, its yacht anchorage and other marine craft. A visit to Rangikapiti Pa will reward you with a panoramic view overlooking Mangonui Harbour on one side and the whole of Doubtless Bay on the other. Coopers Beach – Doubtless Bay, Northland NZKnown as not only one of the safest beaches in the Northland, it is also one of the most beautiful. Shaded by luxurious pohutukawa trees, this golden-sanded beach is just perfect for running or walking. Or just take your deck chair to the beach and enjoy a good book. This is such a popular holiday destination because of the abundance of activities it offers: from swimming, kayaking, boating, fishing, and diving to horse riding, golf and walking. Adjacent to the 2.5km beach is the shopping centre with hairdresser, general store, butcher, pharmacy, medical centre, restaurants, childrens’ playground and the bowling club. 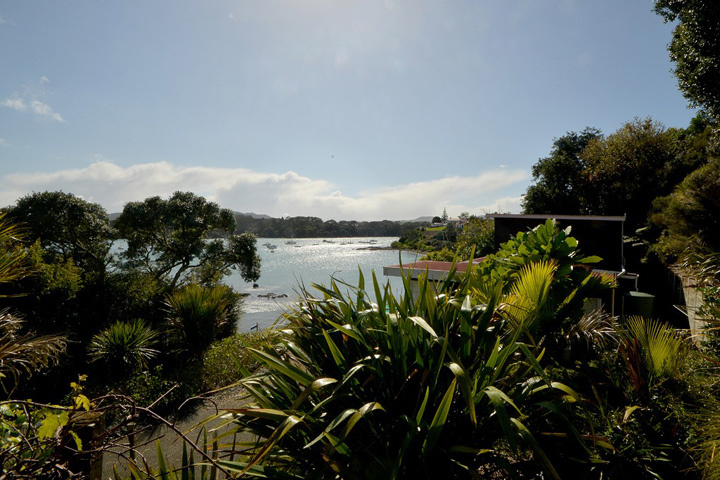 The nearby Taumarumaru Reserve includes three historic defended Maori Pa sites for those who wish to explore the region’s early settlement days. 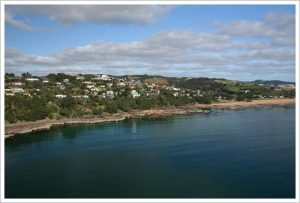 Taipa – Doubtless Bay, Northland NZTaipa is situated in the tranquil setting of majestic Doubtless Bay, surrounded by the warm tropical waters of the Pacific Ocean with excellent fishing and swimming. This area of the Far North is known as one of the premier game fishing spots in the world. This pretty spot combines the open ocean and the shelter of the estuary. You can launch a boat, swim, fish, surf or sail. There is often good surf and this is an excellent location to spot dolphins and orcas.Along with Taipa’s various shops, bakery, garage and petrol station, is the nearby Swamp Palace cinema and two potteries. 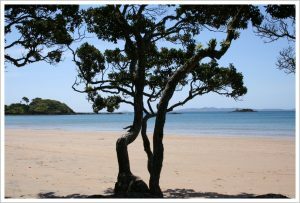 Cable Bay – Doubtless Bay, Northland NZCable Bay is another of Doubtless Bay’s gorgeous beaches. With its unique pinkish sand, warm climate and crystal clear blue water, this beach is truly unspoilt. All the water sports can be enjoyed and there is often good surf between the rocky areas. 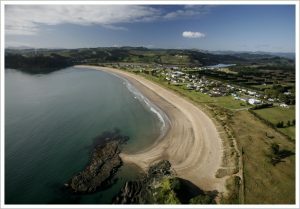 Or head up into the hills for spectacular views of the sparkling blue of Cable Bay and Doubtless Bay. This pretty pink-coral beach with rockpools, small lagoon, childrens’ playground, and general store, was the landing point for the first underwater telegraph cable (the red route) linking New Zealand with Australia, Canada and Norfolk Island. Whichever of these wonderful locations you choose, you can soak up the sunshine in a subtropical climate, far from motorways, traffic lights and the stress of city life. In each of these peaceful coastal villages the water is sparkling clean, the air is clear, and the beauty is unforgettable. It’s a gentle, happy escape and each has its own special character, ranging from rugged and rocky to sheltered and sublime.